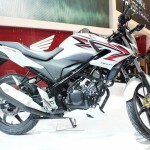 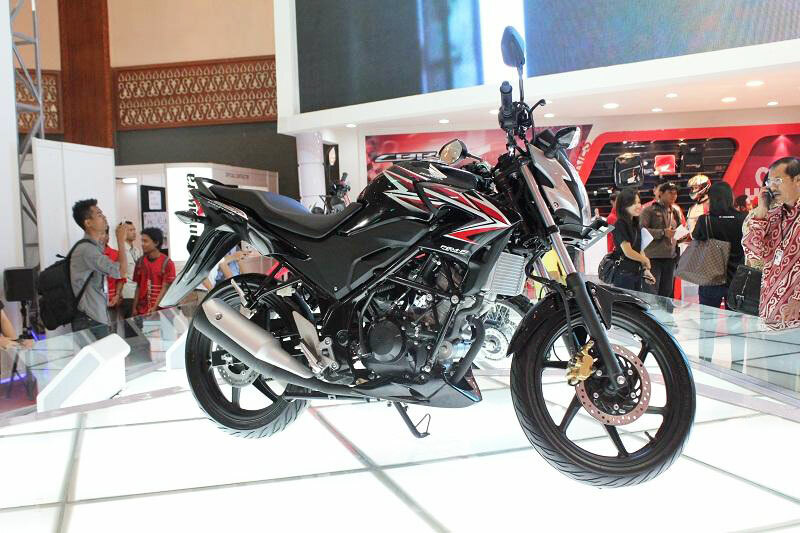 Honda‘s Indonesian affiliate Astra Honda Motor unveiled a new CB150R Streetfire at the Jakarta Motorcycle Show. 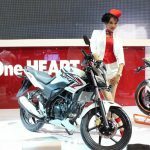 At this point, the Streetfire is only destined for the Indonesia market as the naked version of the Honda CBR150R (which itself a smaller version of the CBR250R), but it does give us an idea of what a potential CB250R would look like, if Honda decides to produce one. 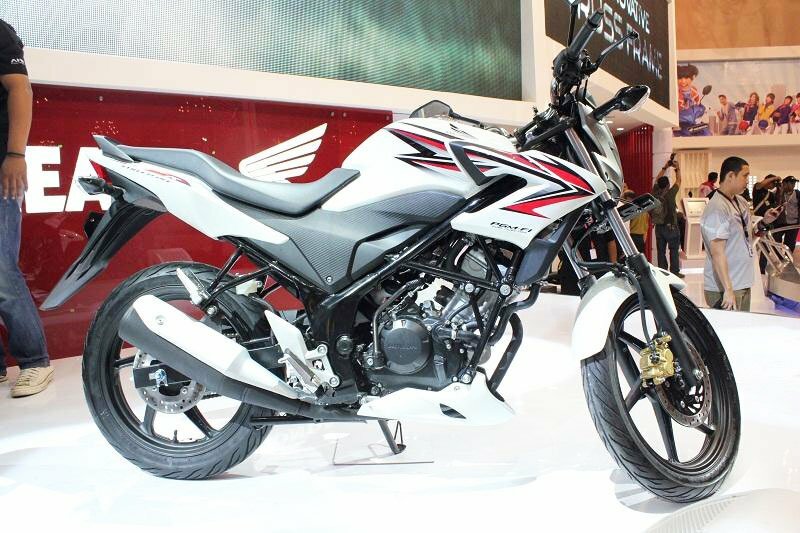 The Honda CB150R Streetfire is powered by the 150cc liquid-cooled engine as the CBR150R. 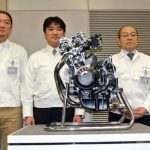 Honda claims an output of 17.6 hp at 10,500 rpm and 9.3 ft-lb. 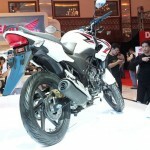 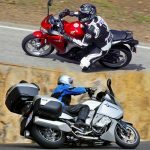 at 8500 rpm from the CBR150R, and the CB150R will likely have similar numbers. 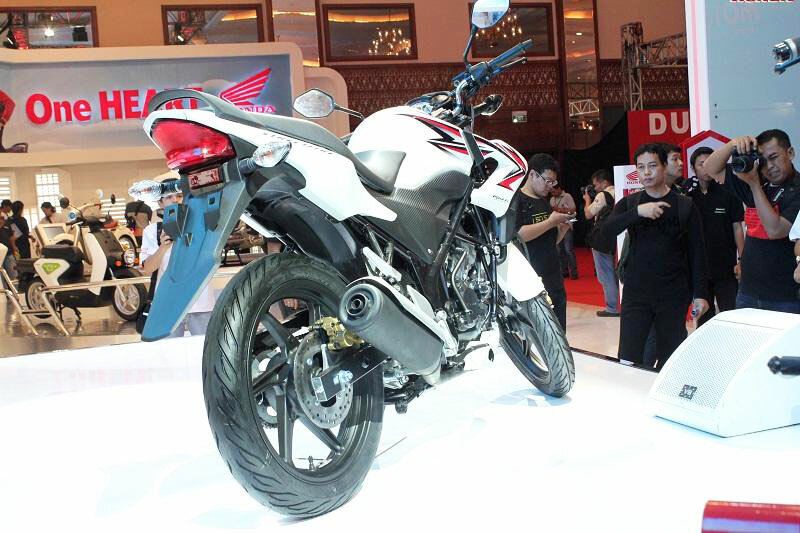 While the CBR150R sports a large fairing, the CB150R exposes its engine and twin spar diamond trellis frame. 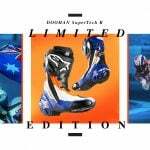 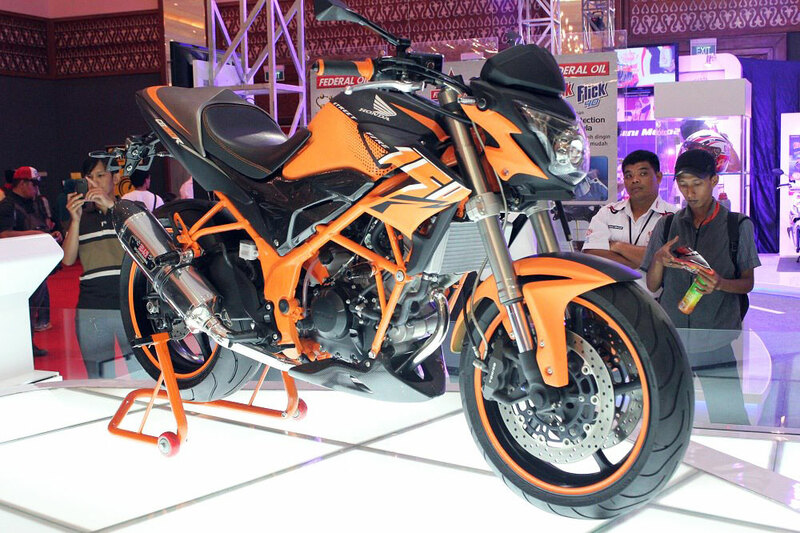 The suspension is also the same as with the CBR150R, featuring a telescopic fork and rear linked suspension. 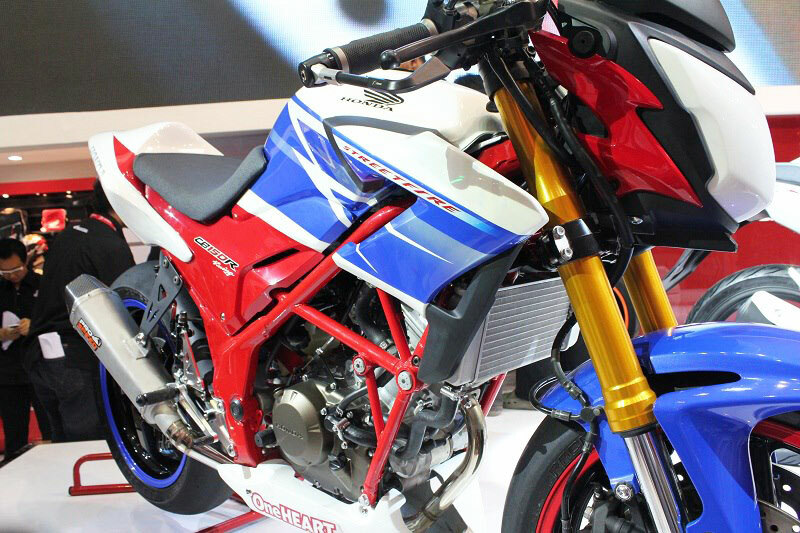 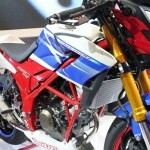 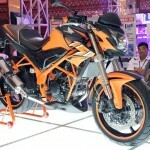 Don’t expect to see the CB150R Streetfire in North America however. It’s designed for the Asian market as a naked option to the CBR150R, while U.S. consumers will probably not be interested in anything smaller than the CBR250R. 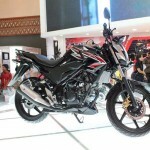 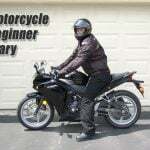 Putting the quarter-liter engine into the same chassis to make a CB250R might be a different story however, though it’s unlikely we’ll see that any time soon, with Honda expected to unveil its new CB500R, CBR500 and CB500X in a couple of weeks at the 2012 EICMA show. 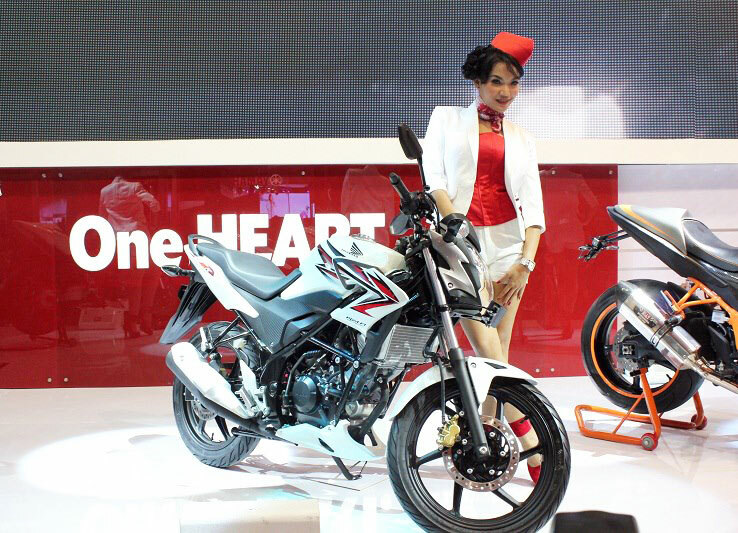 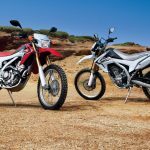 Honda presented four versions of the CB150R at Jakarta, a black version, a white version, a Honda tricolor version and an orange version loaded with add-on accessories.